The premise of what ended up becoming 'Agent Orange' (amongst other 'Color' codenames in the series) wasn't a true "Herbicide" per se. The chemical mechanism involved in the (non-dioxin forms) falls under the domain of "Plant Growth Regulators". You see all plants growth mechanisms are controlled by these PGR factors. Some cause cells to stretch, others cause cells to divide, others trigger fruit to rot (which fruits themselves release as they do and that's how you get the snowball effect in your very own fridge if you let one go), and so on including the group that causes leaves to drop (some even help them not drop their leaves so readily). Everything plants do or dont do is controlled by these chemical processes. They all do it. They all have these "PGR's" in them. You cant eat plants without eating these plant hormones. Naturally humans figured this out, and how to synthesize these same naturally occurring chemicals, as well as invented new analogs to them. Then the premise of the Agent Orange series came about, very clever I must add, the idea was make all the trees drop their leaves then the aircraft whatever could see Charlie down there. And drop their leaves the trees did. But despite that AND (literally) millions of tons of bombs dropped on The Trail, the Vietcong persisted. So some sick sumbitches decided CHEMICAL WARFARE PROPER was the 'solution' to this 'problem', and they added dioxin whatever to the PGR barrels and now the juice that altered plant growth processes also got mammals very very sick. 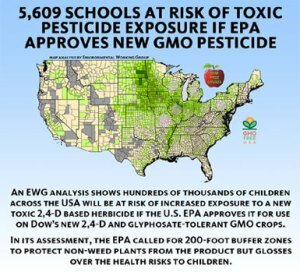 As an aside, its fascinating that the EPA doesnt have a proper category to these "PGR's", they just dropped them all under the umbrella of "pesticide" even though they have nothing to do with insect hormones, getting insects sick, or anything like that. Which makes for good fearmonger fodder by those ignorant to sciences such as chemistry & biology (basically every environmentalist and "organic" health food nut type out there). I think those who think this is ok, are insulting the intelligent of the people noticing this stuff, for years in fact. Cancers, among the many ALZ and others has sky rocketed. But its' ok because The Government Scientists said so. The government scientists do not even test this stuff anymore, they just overlook the research they are given. They are only allowed to consider parameters that are allowed to be considered by the overlords of these agencies. The overlords that will be going to work for these chemical companies when they decide to leave their position. 2,4-D has been around a long time (1940) and has been studied a long time. I believe it is the most widely used herbicide in the US if not world. It's not some new chemical from monsanto. They've said that about a lot of things. Smoking used to be considered cool like Marlboro Man. That didn't work out too well either; so putting my trust in these people is no longer in my best interests. You do realize that the altered gene that makes plants tolerant to glysophate doesnt get people sick, but rather the plants (the fields technically) then being treated with the stuff constantly then puts the residue into the food supply at a much higher rate. Farmers can still apply roundup to the weeds anyways, although not b able to just spray the entire field down indiscriminately like they can when the crop plants arent so hindered by it. The point I am making is that it is not something new in the environment. Some are making it sound as thought it is a new chemical being put into use. I am not saying it might not be over used. They've said that about a lot of things. Smoking used to be considered cool like Marlboro Man. It still is. Most people are just sissies now that want the adult diaper years. You can have em we dont want em!